When people learn about reiki, they want to share it with everyone. Reiki student Shana Pearlmutter contacted me after her Level 1 class to invite the Reiki Brigade to participate in an event she was organizing. 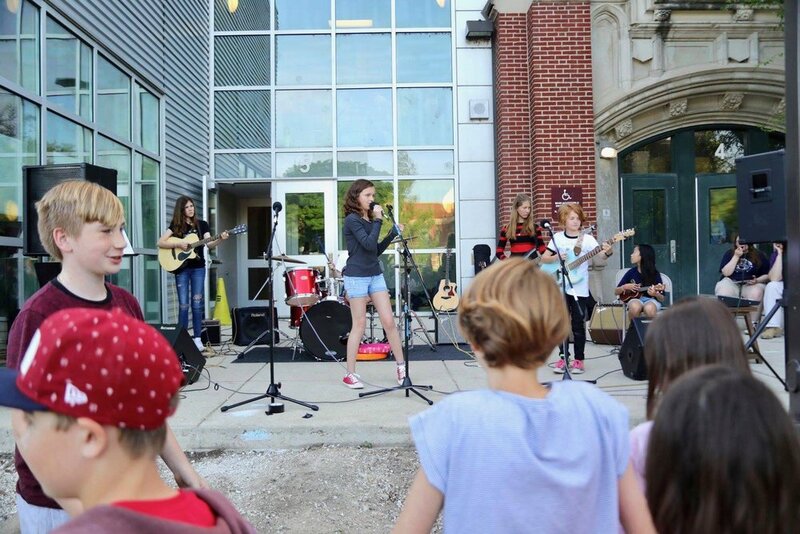 Bell School hosts an annual Family Fine Arts Night, and this year's theme was Artivism: Find Your Voice. 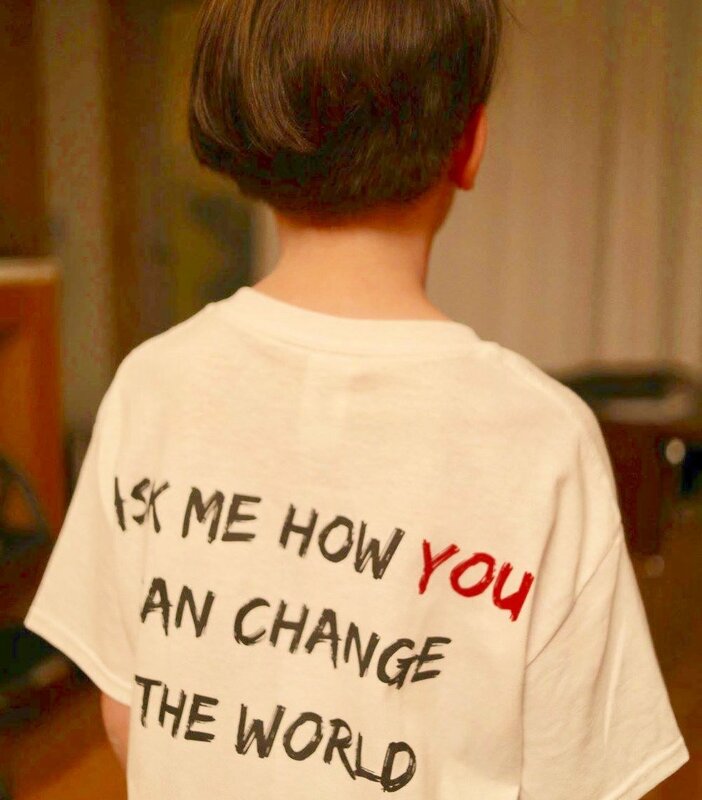 In addition to showing kids how they can change the world, Shana wanted us to help demonstrate that self care is an important part of activism. It was an honor to participate in this fantastic event. Offering reiki at Bell School for their Fine Arts night was awesome! Wendy, Kim, Heather, and I made a great team. 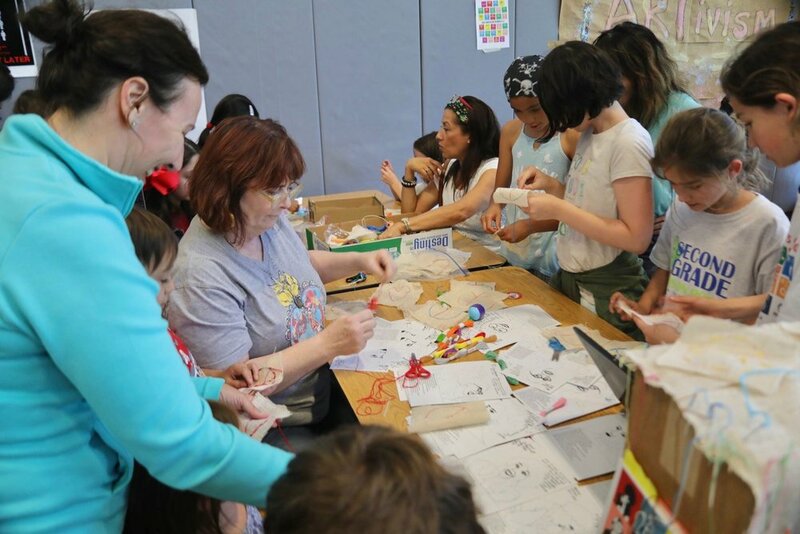 We also had parent/student volunteers who enthusiastically helped direct recipients to our room. We had a great space and the entire event was really well-organized. Participants were all excited and genuinely curious to try reiki. 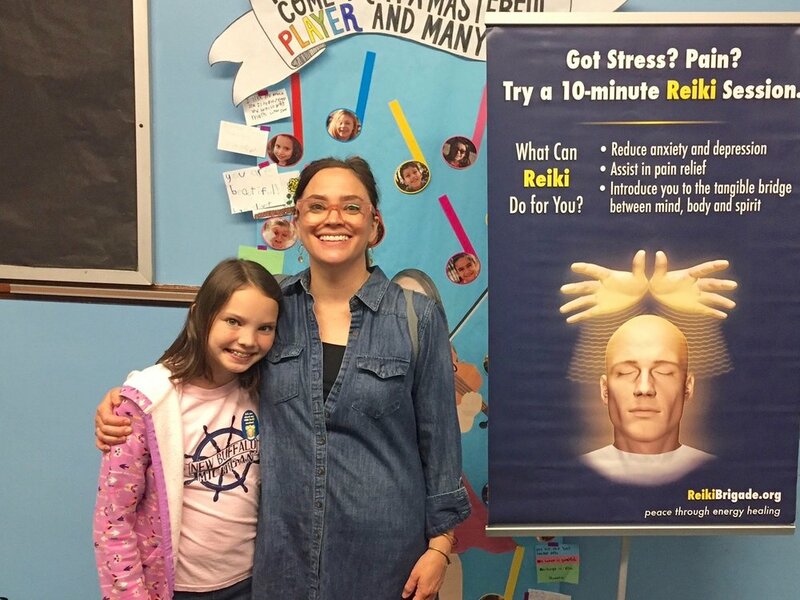 I am still buzzing from the event and am thrilled that we could introduce a whole new generation of junior reiki enthusiasts to the many benefits of reiki! Kids learned how to answer this question.